A vast archipelago in the Bay of Bengal, Andaman and Nicobar Islands, has been a major tourist attraction in India for those who come to enjoy the calm resplendent nature of the sea and bask in the sunshine on the vast sea beaches of these islands. 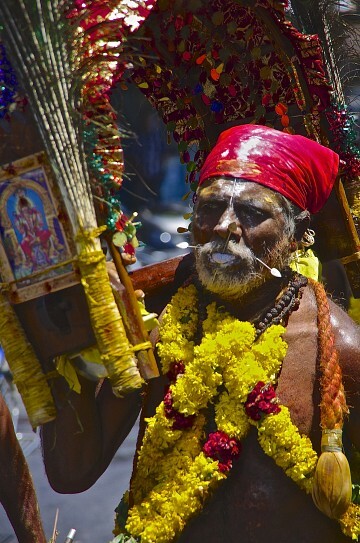 With the unique diversity of culture and identity, a visit to Andaman and Nicobar Islands is always on the cards for any travelers visiting India. Earlier, the archipelago was inaccessible to the common people as it was the land of aboriginal tribes (and is still so in some parts of the island). However, with the course of time and owing to the modernization of the transport system, Andaman is no more an alien territory. Of late, travel and tourism business is a thriving occupation for most of the inhabitants of this place, as the interest to visit these islands is increasing exponentially with the passage of time. Andaman suffered a major setback in 2004 when a devastating tsunami tore the island apart, leaving many human casualties and causing severe damage to several buildings in and around this place. However, as the authorities were quick to react to the situation, Andaman again got her prominence as a major tourist hotspot in recent years- and it still continues to do so. The history of the settlers in the Andaman and Nicobar Islands dates back to around 2,000 years. According to the archaeological studies, the early settlers of Andaman, disassociated from the external world, built their unique culture and identity in these territories. With the course of time, in-between 1,014 and 1,042 CE, the Chola dynasty of India captured the archipelago and used it as their major naval base. Later, in 1756, Andaman and Nicobar Islands went into the hands of the Danish. The Danish rule continued for a short span of time in this land, until a major outbreak of malaria led them to leave Andaman and Nicobar Islands. In 1868, the British took over the supremacy of this place from the hand of the Danish and made Andaman famous after the establishment of the notorious correction center popularly known as the “Cellular Jail ”, which mainly served for detaining and executing the Indian independence activists in strict confinement. However, it was during 1950, after the independence of India, Andaman and Nicobar Islands was finally declared as an Indian territory. On the west of this archipelago lies the Bay of Bengal and to its east lies the Andaman Sea. The archipelago comprises 572 islands of different sizes. Of all these, 34 islands are the main zones for civilian habitats. Bengali-speaking people mainly constitutes a majority of the crowd in the Andaman Islands followed by Hindi, Tamil, Telegu, and Malayalam-speaking inhabitants. English is also spoken in the urban areas of this territory by the educated mass of society. As most of the islands are uninhabited, traveling in Andaman is somewhat restricted both for the Indians and the foreign travelers who visits. 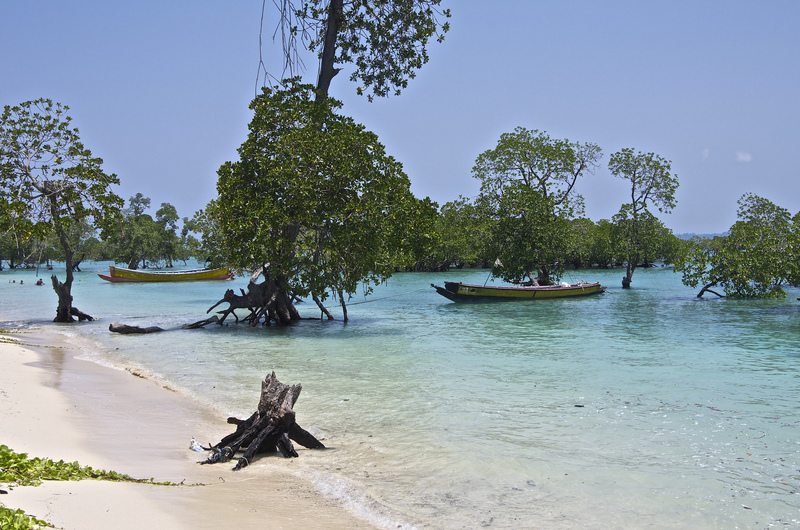 Moreover, some of the uninhabited islands in Andaman are the house of the aboriginals, where travelers are generally barred from entry owing to safety reasons. Nevertheless, following are the islands and cities that you can visit while traveling in the archipelago. It is the main city and the capital of Andaman and Nicobar Islands. The people of Andaman are somewhat relaxed and you can really feel the same atmosphere once you have landed in this town. Some of the major places to visit from Port Blair are Cellular Jail, Corbyn’s Cove Beach, Anthropological Museum, Samudrika Naval Museum, Central Agricultural Research Institute, Chatam Saw Mill, and the Andaman Zoo. To travel around Port Blair City, you can hire auto rickshaws as they are available in abundance. Besides, you can also avail local buses, hire a motorcycle or a private car. 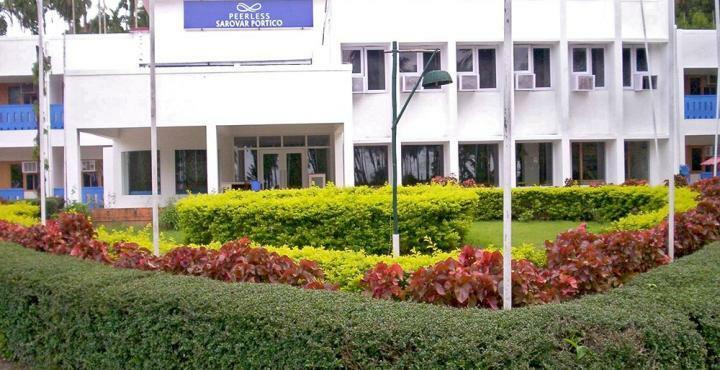 However, it is best to walk in order to explore the beauty of Port Blair. The other important cities in the Andaman are Rangat, Digilpur, and Mayabunder. This is one of the best islands to do some camping for a night. As there are no such accommodation facilities except one government lodge and very few eateries in this island, it is best to reach this place fully prepared if you wish to spend a night on its picturesque beach. 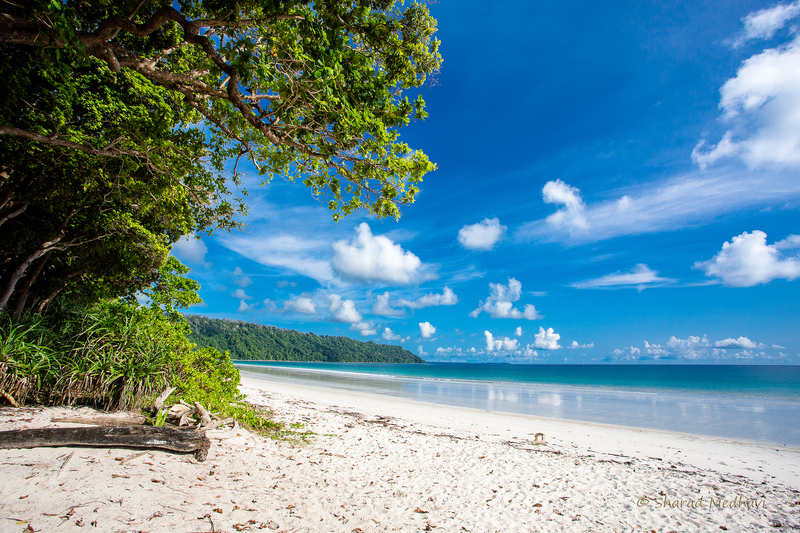 This island was famous for surfing until a devastating tsunami proved costly to Little Andaman. 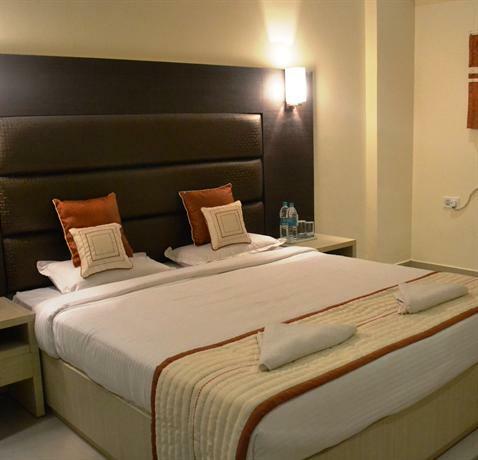 If you plan to visit, be sure to acquire knowledge of the latest lodging facilities and other necessary information of this region from Port Blair. One of the most frequented islands for travelers, Havelock Island is a haven for any water sports lover who wish to visit this place. You can opt for snorkeling and scuba diving in this island. Moreover, the scenic beauty of Havelock Island is quite enough for any nature lover to be charmed by this location, prompting many visits thereafter. 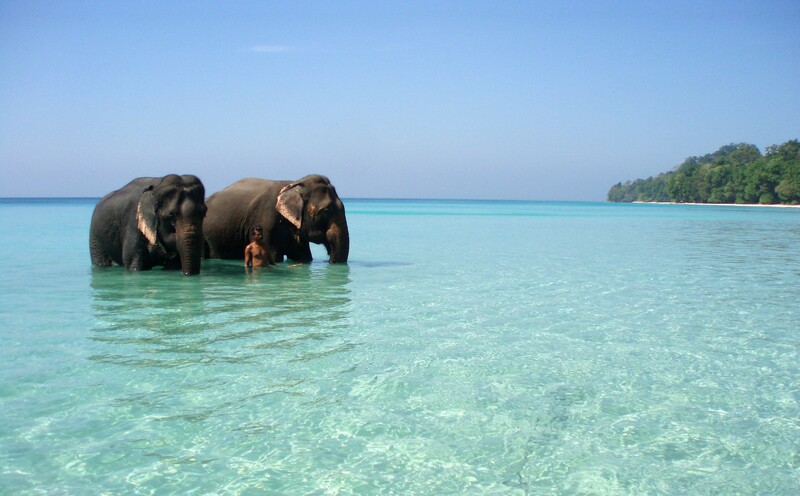 To reach Havelock Island, you can hire a ferry service from Port Blair or from the city of Rangat. The ferry schedule varies accordingly to the weather window. So it is better to inquire beforehand about the current day's ferry schedule if you wish to visit Havelock Island. The ferry service to the Havelock Islands is operated by the government and both AC and non-AC ferries are available for visiting. Alternatively, you can also hire helicopter service or a small plane from Port Blair to reach Havelock Island. 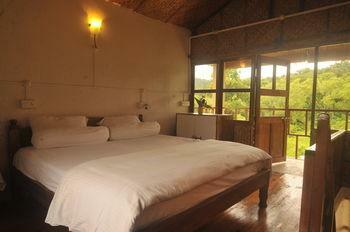 Havelock Island has a number of accommodations available along with good options for eating for all visiting travelers. At Havelock Islands, you can avail of local shared jeeps and auto rickshaws to travel within the island. Besides, you can also hire bicycles, motorcycles, or private cars for exploring the area. 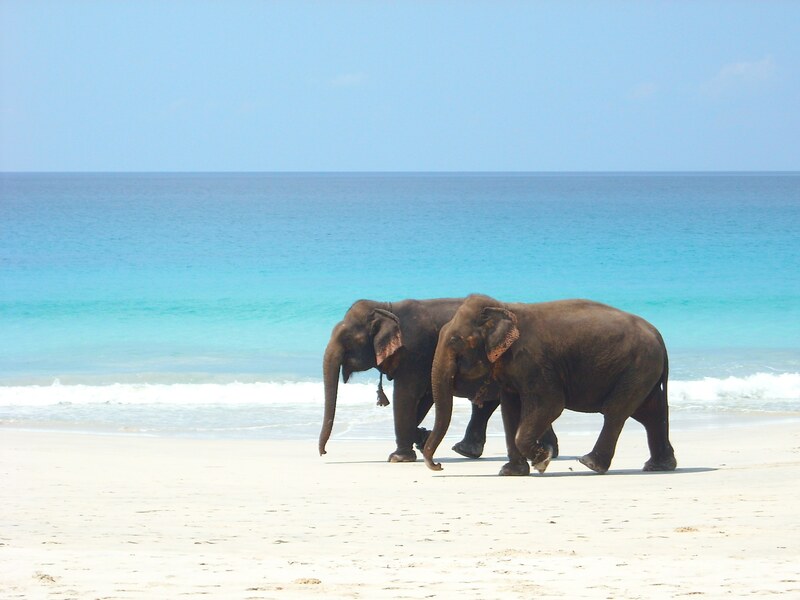 If you have planned to check out this island, be sure to visit the Kalapathar Beach, Radhanagar Beach and Elephant Beach. Snorkeling in this island is mainly conducted on the Radhanagar Beach and Elephant Beach. Some other recommended attractions on the island are the Lighthouse, Minerva Ledge, Pilot Reef, Johnny’s Gorge, Dixon’s Pinnacle, The Wall, Jackson’s Bar, and the Aquarium. Two elephants bathing - Andaman and Nicobar Islands. Photo by Matthieu Aubry. This island is the only place where there is an active volcano in South Asia. The last eruption of this volcano took place in 2005. However, the island still receives periodic tremor, though no havoc has occurred from the last eruptions. To observe this mighty island, you can hire a seaplane service from Port Blair. Please note that the flight service is available on-demand basis and requires at least seven passengers to cover a single trip. 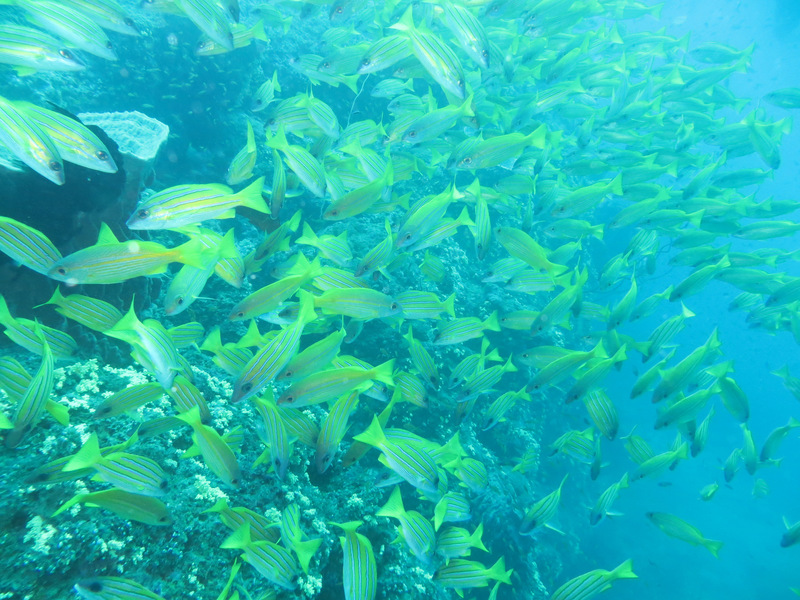 The waters surrounding Barren Island are reputed to be among the world's top scuba diving destinations. If you are looking forward to enjoying the magnificent coral reef and a wide habitat of sea life, you must visit the village of Wandoor. From Wandoor, one can take a ride by boat to Buoy Island or Red Skin Island, which are also famous for their scenic beauty. These islands are opened for tourists, alternatively every six months. To visit any of these islands are a day’s trip by boat from Wandoor. 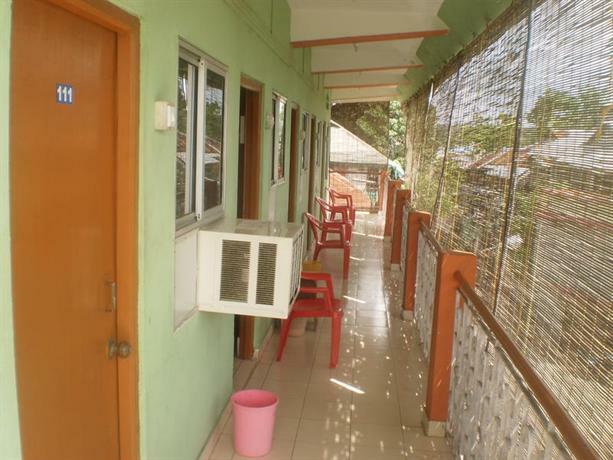 Owing to the influx of tourist in this village, there are a number of accommodations available for a night's stay along with a few eateries in and around Wandoor village. 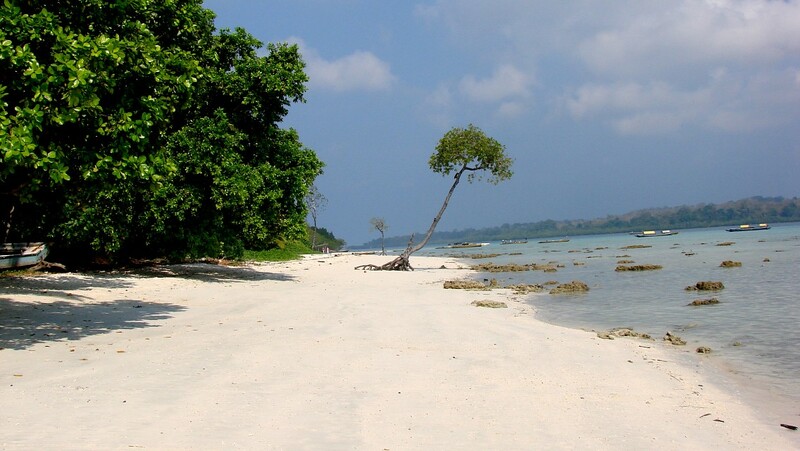 To reach Wandoor, you need to take a bus from Port Blair which reaches Wandoor beach. You can also hire a motorcycle to travel in this village. Wandoor also acts as the gateway to Mahatma Gandhi Marine National Park . 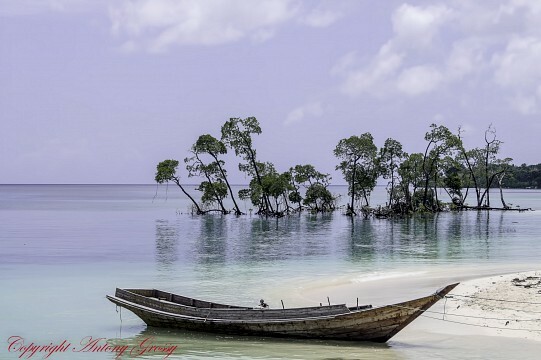 Famous for mangrove, mud volcano, tropical forests, parrot island and the limestone caves, Baratang Island is yet to get recognition as a major tourist spot in Andaman. Because of lesser crowds, the untouched beauty of the island and Baludera Beach are just the perfect place for a relaxed evening. 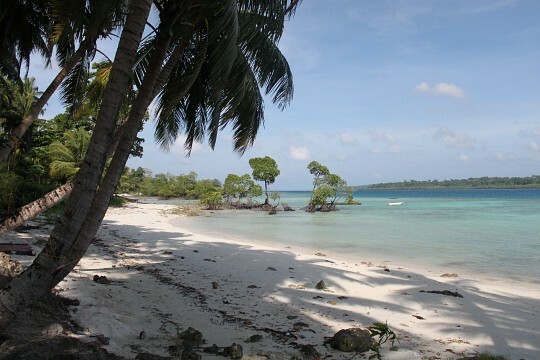 Other beaches that you can visit in Baratang Island are Lalji Bay Beach and Merk Bay Beach. 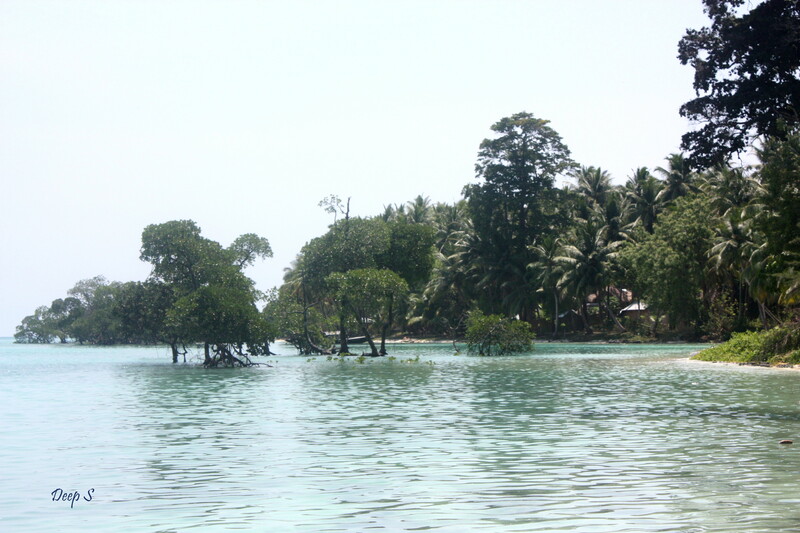 To reach Baratang Island, you need to take a bus that leads to Jirkatanag. From here, you need to take another conveyance to Nilumbar Jetty and then a fifteen-minute ferry ride to reach this place. There is only one resort to stay in Baratang Island besides a few eateries that one can find while visiting. 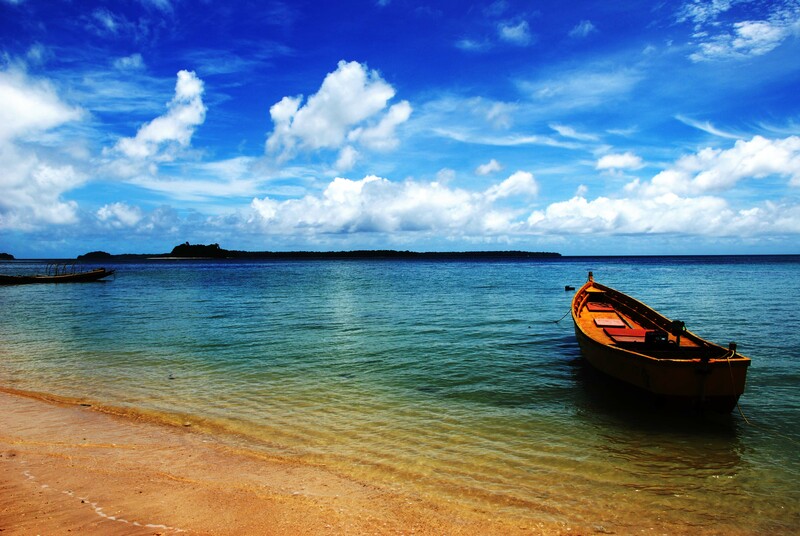 Take a boat from Port Blair to reach the secluded Neil Island. Some of the popular beaches out here are Ramnagar Beach, Sitapur Beach, Lakshmanpur Beach, and Beach No.8. Neil Island is also famous for watching the sunset along with snorkeling and scuba diving facilities. There are very few accommodations and eateries available for the travelers who want to visit Neil Island. The main airport of Andaman is at Port Blair and there are regular domestic flight services from Kolkata, Delhi, Chennai, and Mumbai to this city. You can also avail ship from the ports of Vishakhapatnam, Kolkata or Chennai. Generally, it takes around 50-60 hours by sea to reach Port Blair from any of these destinations. Since Port Blair is considered the main city of the archipelago, there a number of options available for accommodation in this town. 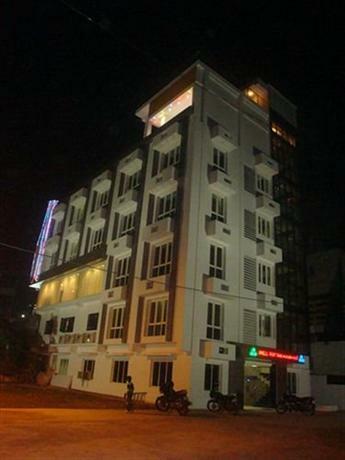 Some of the recommended budget hotels in Port Blair are City Heart Hotel, Jagannath Guesthouse, Youth Hostel, Delanipur, and others. 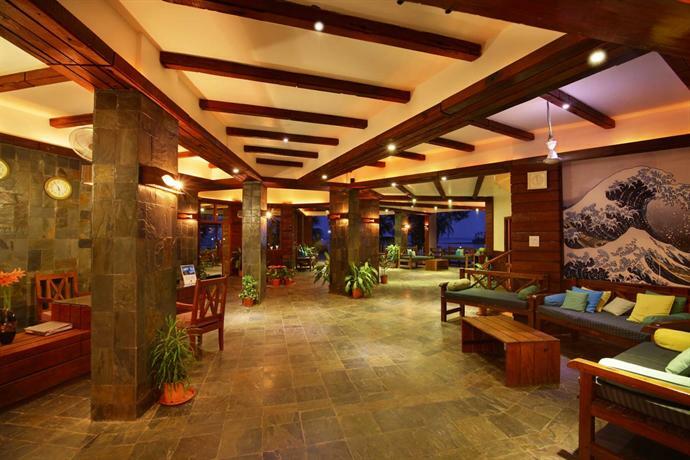 For mid-budget travelers, the recommended options for staying in Port Blair are City King Palace, Fortune Resort Bay Island, Diviyum Manor, Holiday Resort, and others. However, if you are looking for something luxurious, the options are Sea Princess Beach Resort, Sinclairs Bayview, Fortune Resort, Hotel Sentine, and Megapode Camping Resort. Some of the popular festivals in Andaman are Island Tourism Festival, Beach Festivals, Food Festival, World Tourism Festival, and Monsoon Music Festival. Andaman also hosts a three-day film festival in the month of November. Andaman and Nicobar Islands can be visited anytime during the year. However, the best time would be from May until October. All foreign nationals can stay on these islands for 30 days. However, this can be extended by another 15 days with permission. Permits can be obtained from Indian Missions Overseas, Foreigner’s Registration Offices at Delhi, Mumbai, Chennai, Calcutta and the immigration authorities at the airports at Delhi, Mumbai, Calcutta and Chennai.